Outstanding work! 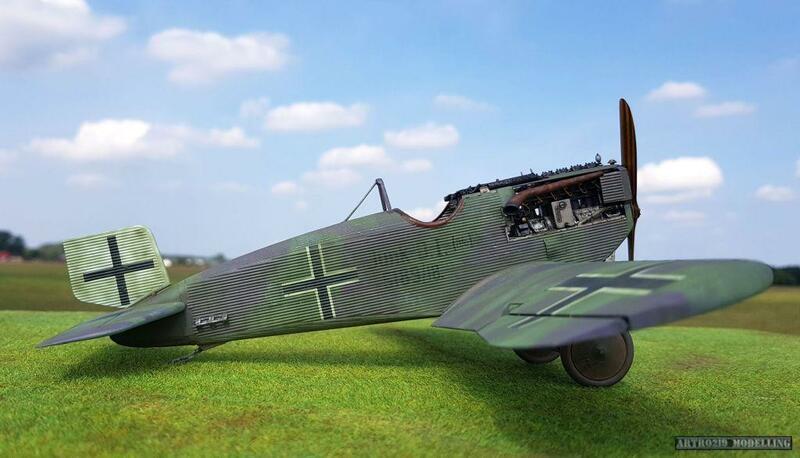 The Junkers D.I has to be the best introduction to WW1 modeling (only a monoplane, with an internally-bracedstructure. 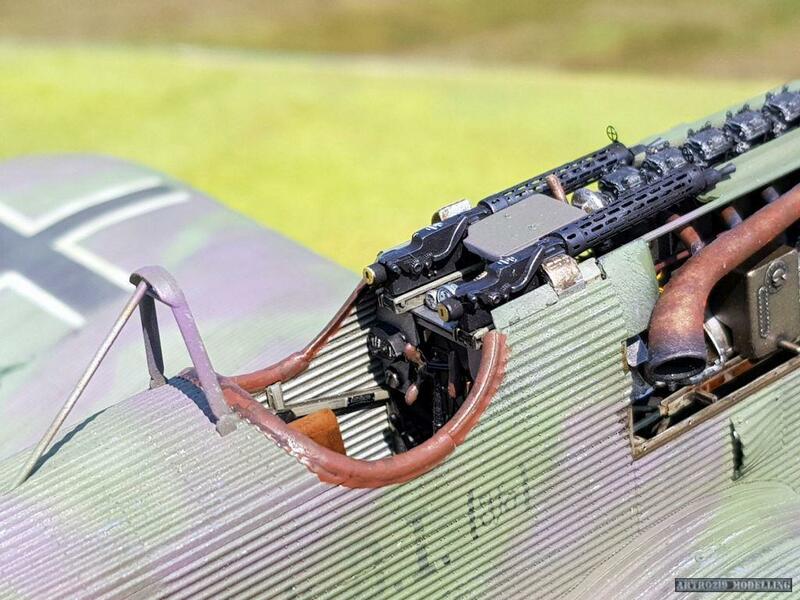 Amazing job on this model! Gratulacje! This is terrific – the Junkers is expertly built and painted, the background is impressive, and those black and white photos look amazing. Very, very well done! Fantastic build, Artur! The B&W photos on “film” are great photographic effects for that plane, too! It became REAL, not a model! Actually, maybe it is not the prettiest, but it has its charm. Thank you for the kind words. Very nicely done. Hopefully we’ll see more WNW kits from you. Fantastic photography,lighting and clarity in the photos along with some really good modeling skills. Nothing short of excellent. Of course another strong candidate for model of the month. Two thumbs up Artur. Lovely! The faded look of the decals/stenciling is outstanding, and overall lovely and realistic finish. The Junkers D.I looks like a transformer who’s alter ego is a garden shed. Seriously though, this one you’ve done is really outstanding. 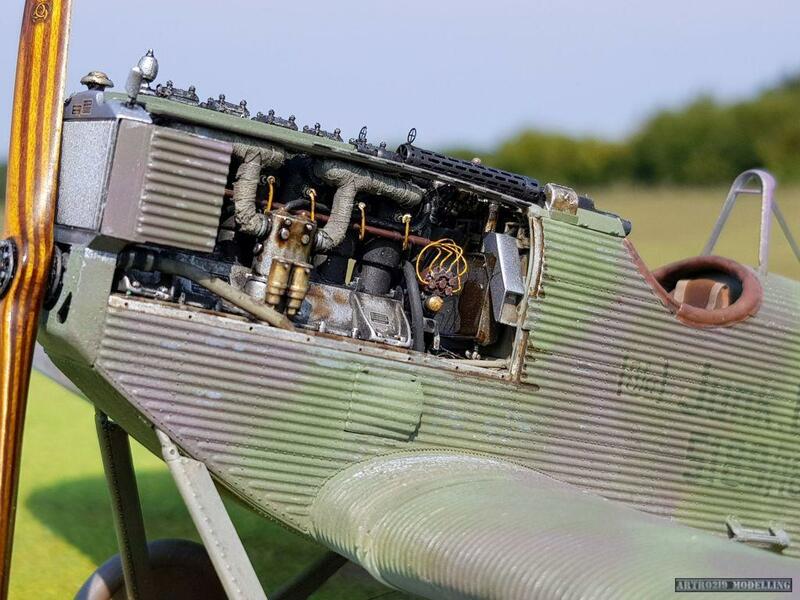 The propeller is very nice, and your microscopic attention to detail in the cockpit and engine is something to behold. Arthur, This is really nice. 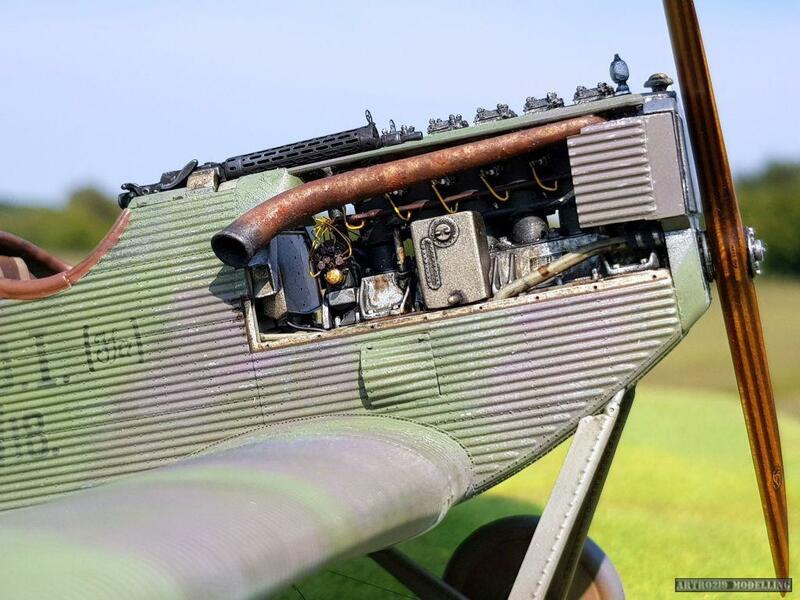 Your cockpit and engine detail is great. I particularly like how you did the exhaust pipe. Looks very realistic. I like it a lot ! Great attention to detail though, and the laminated spinner is excellent. 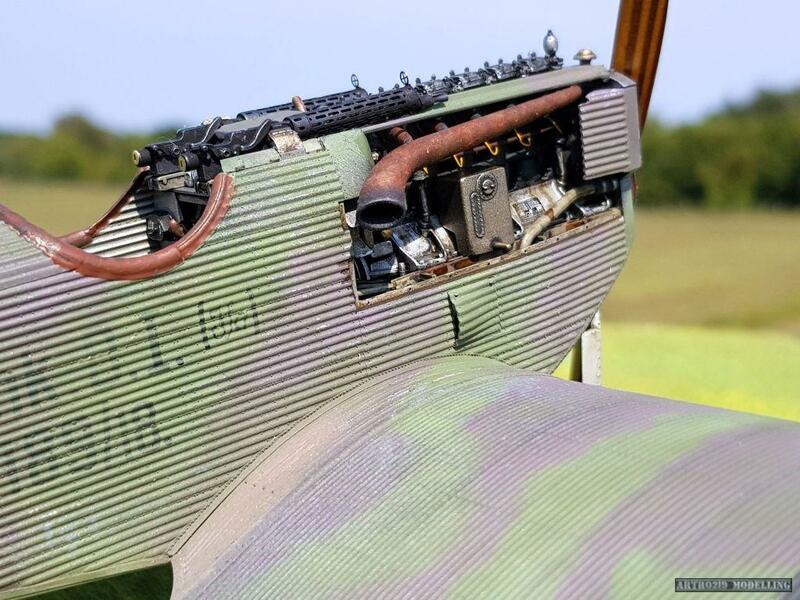 One of the downsides of working with 1/48 WW1 aircraft, as I’ve been doing lately, is the size of the props. Very difficult to get that crisp demarcation of wood types. Outstanding effects – on both the photos and the model! I particularly like the work on that exhaust pipe. and the corrugated skin ‘feels’ like metal to me from those photos. top notch! Love to see more of your work!